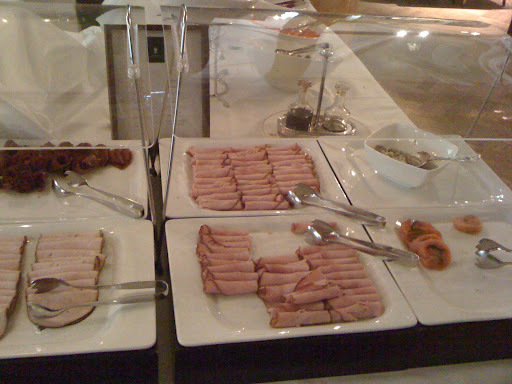 While I was away, staying in hotels,with a buffet style breakfast I found it interesting to observe what other nationalities have for breakfast. The British of course are well know for their “full English” Grapefruit followed by Bacon fried eggs, sausage tomatoe mushrooms and often beans, plus fried bread or toast, and jam/marmalade. We don’t eat this at home every day, most people have cereals and/or toast. In Tallinn this was the best I could do. The traditional Estonian breakfast apparently is porridge and in the hotel I stayed in they made the most delicious porridge, plus berries, cloudberry jam and something called “curd” which was like very creamy yoghurt some little custard/fruit cakes. This was Michaels version. 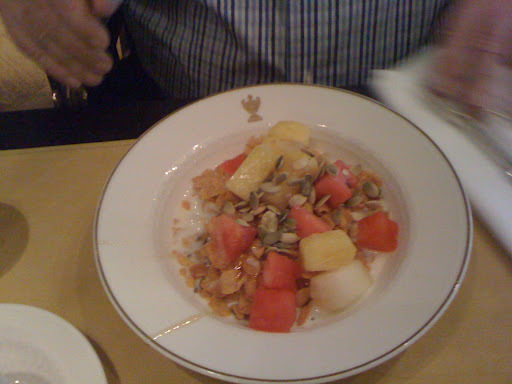 Meuslu melon and yoghurt. 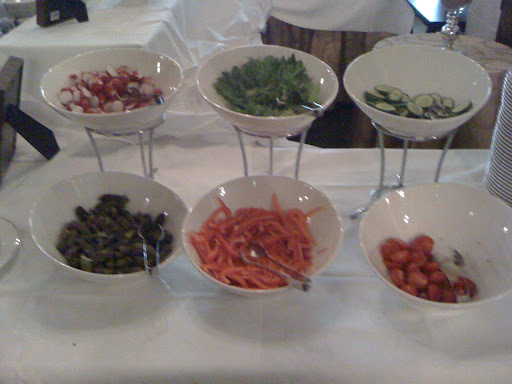 The Scandinavians , I observed often have cold smoked fish or meats, liver paste or cheese and pickles plus salad. I tried this one morning, but really found it hard to eat beetroot gerkins, raw tomatoes and lettuce first thing in the morning. But I LOVE the black bread they all seemed to like. In Finland this Karelien pasty is a traditional Finnish dish made from a thin rye crust with a filling of rice. 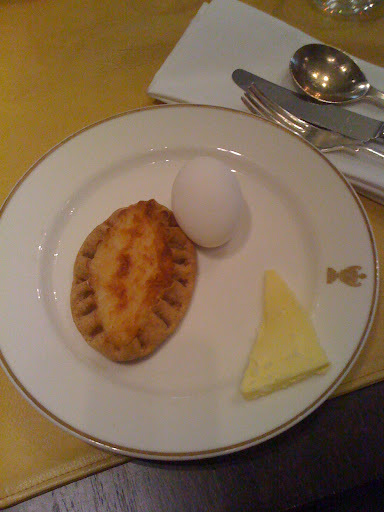 Butter mixed with boiled egg is spread over the pastry. This seemed popular so I tried this too and it seemed very tasty. 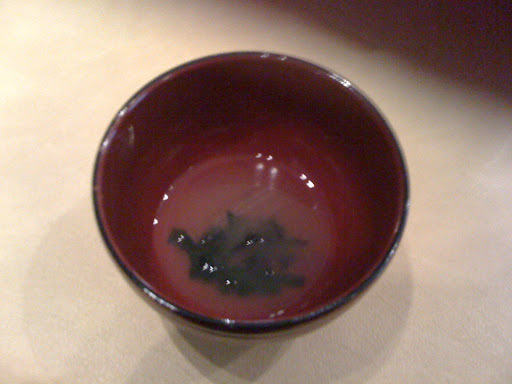 For the Japanese miso soup and seaweed started the day. 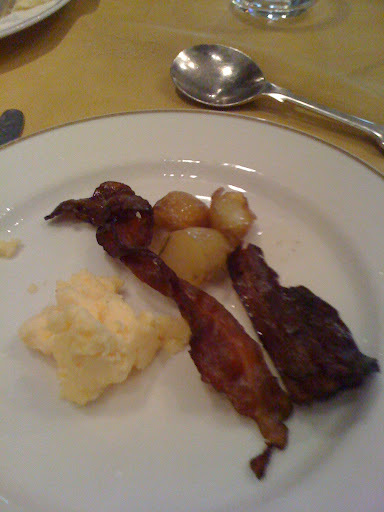 Although a Japanse couple in the Tallinn hotel had bacon and eggs every day I noticed. Americans seemed to like the the pancakes with bacon,and fruit . and of course the French and Belgians lare well known for the crossiants. Me?… at home I have meusli with bannana and soya milk, plus green tea. Followed by a coffee. How timely to read this now when I'm getting ready to have breakfast…at 12:06 pm. It's my first day waking up in my own bed back in Paris and jet lag got the best of me this morning. But since my body thinks that it's 6:06 am, I'm ready for my daily breakfast of porridge and fruit. Unfortunately, we only had two "real" American breakfasts while we were in the States. 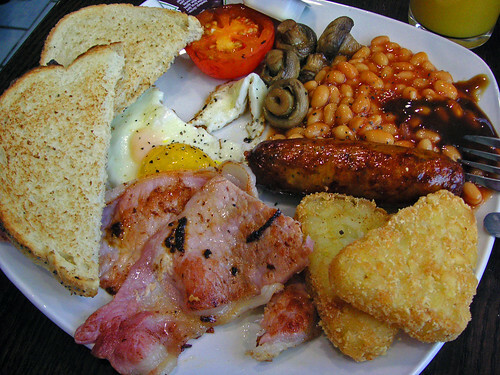 Whenever we're in the UK, I love indulging in the full English breakfasts, beans and all! That full English breakfast looks like a feast!When I go out for breakfast, I like something hearty like pancakes, waffles, or French toast. That''s a treat, though. At home, it's usually just cereal. Interesting blog, it came as a real surprise the first time I came acros people eating cold meats and cheese for breakfast. I'm with you on the American breakfast Denise, it's one of the things I'm looking forward to in October when I go to New York. Couldn't imagine eating it here though! I usually have porridge or yogurt and fruit.